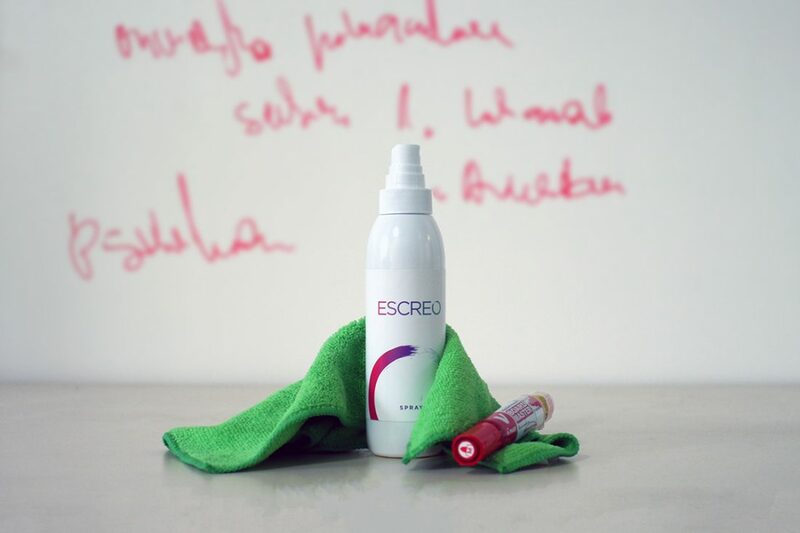 Write it on the wall – one of the coolest ways to get your presentations and team-interactions to another level. Escreo inspired us to break the communication limits in the office and act “outside the box” when it comes to expressing and sharing our ideas. Extraordinary people with extraordinary thinking! Waste is bad and we all know that. Waste disposal statistics and sustainability articles often make you feel bad and helpless but this time will be different. This time we’ll discuss workspace sustainability issues AND offer you a simple resolution. Paper, plastic, and aluminum are among the most dangerous types of waste in the world. Not mentioning their highly pollutant production and decomposing time – it takes around 500 years to decompose a small plastic bottle. Eurostat research says an average rate of waste generation per person is around 25 000 kg in Bulgaria and around 9 000 kg in Romania. Take a second to imagine the amount of plastic we dispose of daily in our countries. You may be surprised but the whiteboard markers you use during staff meetings and negotiations are really harmful to our environment. It happens so that they’re made of two materials bad for the environment – plastic and aluminum. These two are usually used to produce the marker casing, while polyester makes the ink reservoir, and wood with synthetic fiber make the felt tip you write with. Crayola reports the production of 465 million markers per year – imagine the plastic waste going hand in hand with this production and consumption. Permanent markers and ink pens are hard to recycle and people usually throw them away in a garbage. Chances are high that later that garbage is going to a landfill and often it’ll end up in a stomach of a bird, dog or other animal living next to a landfill. Let’s say you bring your markers to a recycling company. Even then it’s a challenge since recycling a marker is a lot of work. Each part of a marker needs to be recycled separately: the casing, the ink reservoir, and the felt tip. What most recycling companies do is to recycle the plastic or aluminum casing and throw away the reservoir and felt tip. And we go back to landfills again. This is where we have discovered an opportunity for an eco-innovation. Hold for a while before giving up to the depression because we have good news for your office. 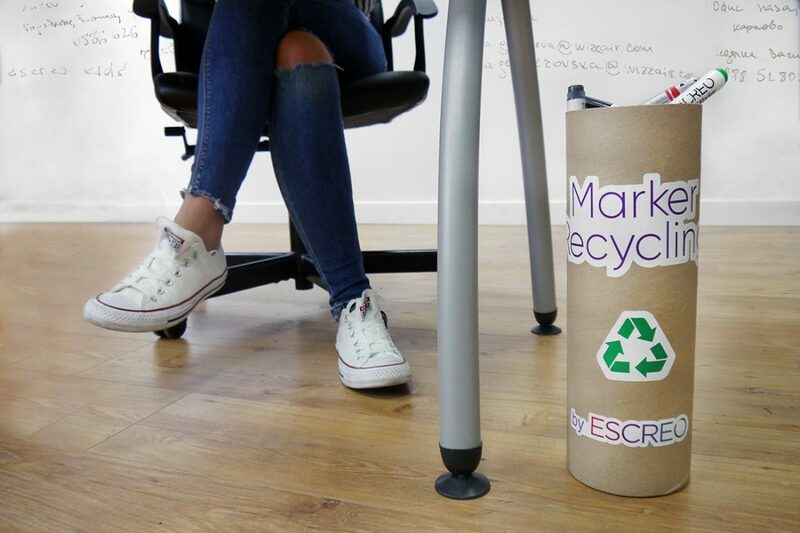 We’re dedicated to contributing to a positive future with every office product we offer and we’re happy to introduce you to our ESCREO Recycling Box. 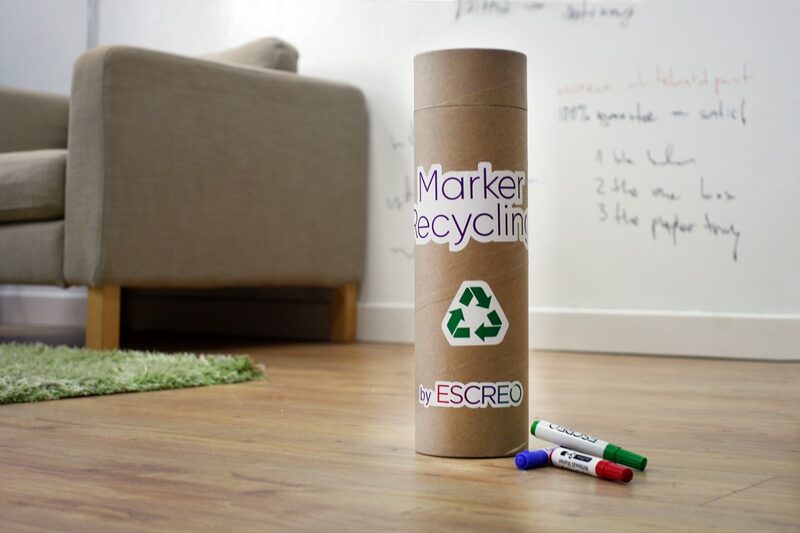 Made of recycled cardboard, ESCREO Recycling Box is an indoor recycling bin for permanent markers, highlighting and other ink pens. Just order your free recycling box from our website contact form, set it in your office, and let us know once it’s full with markers (it takes around 70 markers). We’ll pick up the box and handle it to our partners for plastic recycling, awarding you with the green business certificate. It’s that simple to make your office a bit more sustainable. Besides our eco box for marker waste collection, there’s something else you can do to make markers usage more sustainable. The average marker life cycle is only 2 months. By making sure the marker cap is always closed, you prevent the marker from drying out quickly and make it last longer. 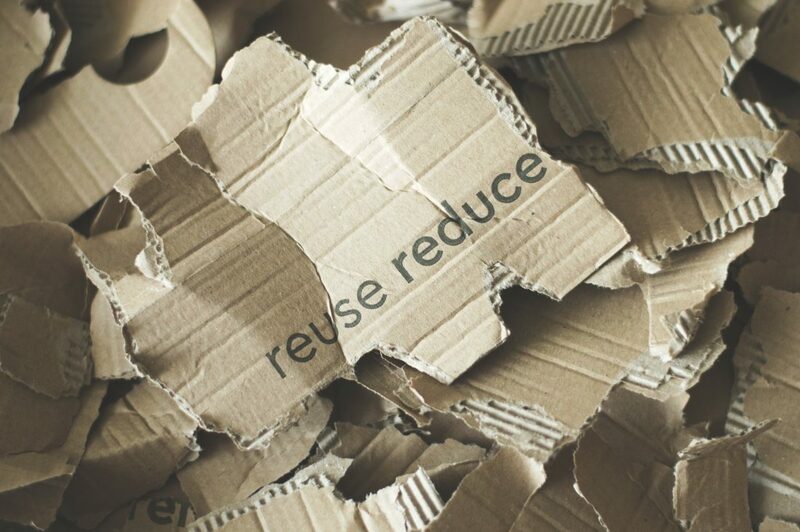 We’ve come up with a few more solutions on how to reduce the waste entering our environment. Choose emailing to printing: if printing is not necessary, email your colleague or partner instead. Save your plane or event ticket on your phone, rather bringing a print copy. If printing is a must, choose 100% post-consumer recycled paper. It’s better because it takes 40% less energy to make and doesn’t require forests destruction. Choose reusable bottles and cups. Single-use plastic is not cool, so get yourself ceramic or other eco-friendly bottles and cups to hold your morning coffee. This is a great idea for a birthday gift for your co-worker, by the way. 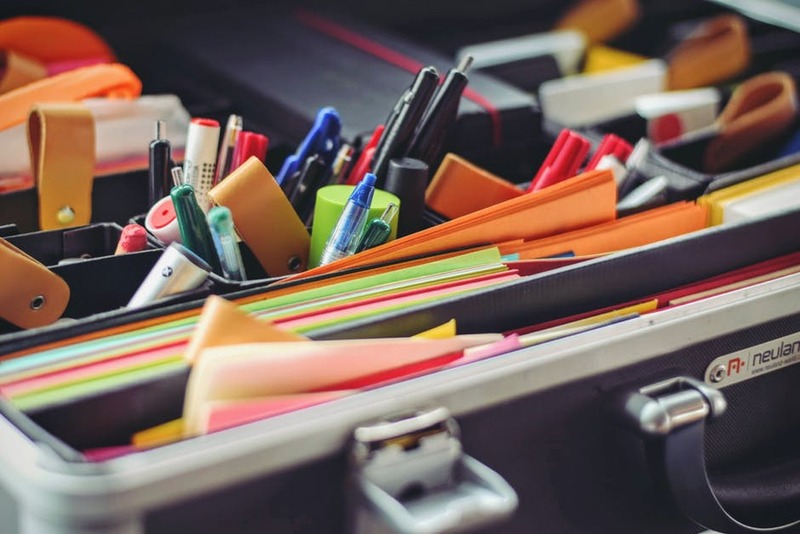 Choose a recycling bin instead of a standard trash bin for your office. The recycling bins usually contain parts for plastic recycling, paper waste, and food waste. This makes recycling easy and effective. Start your environmentally friendly office life and order your Recycling Box right now! 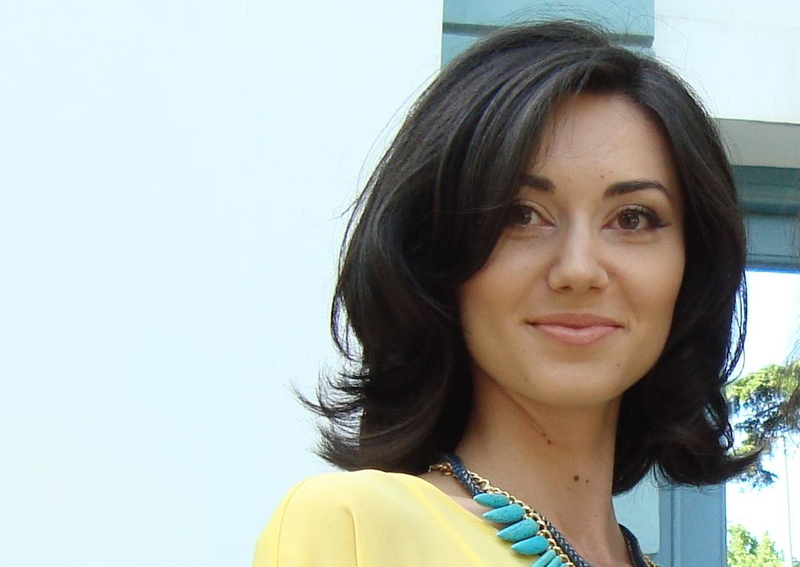 *The service is currently available in Bulgaria only. 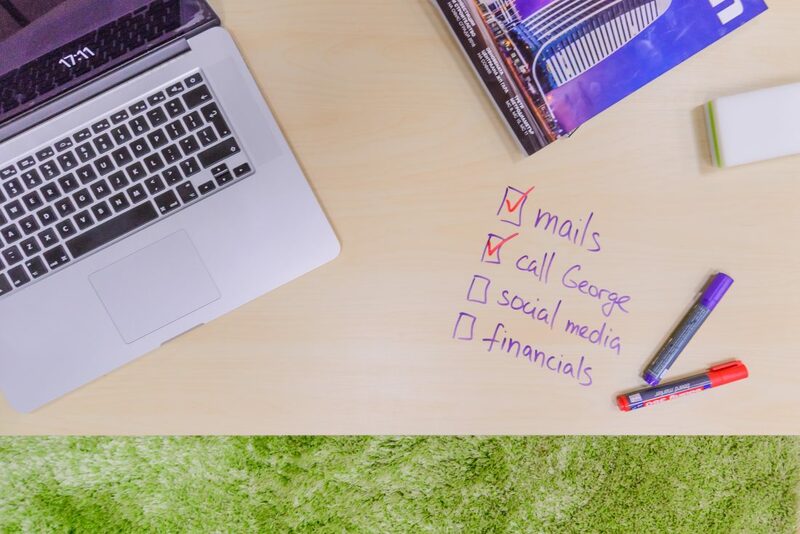 Choose your preferred colour and turn any flat surface into a collaborative whiteboard area.